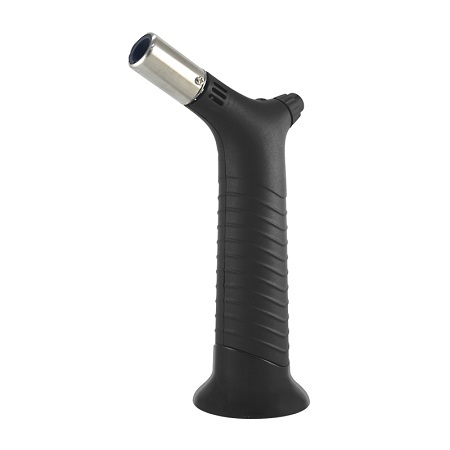 Refillable Butane Torch are manufactured using high quality raw material in compliance with set industrial guidelines. We offer these long lasting products at very reasonable prices. When in compression, resistant to rust and corrosion, are shock proof and require low maintenance. We manufacture these products he industry guidelines and provide these to our clients at very reasonable prices. Cooking torch with deluxe style. 2. Powered by butane gas refillable type. delivery without gas. 3. Fuel window to see gas level. 4. Perfect to brown various foods at home. 5. Non-slip handle and easy understanding operation. 6. Consistent flame at any angle. adjustable gas control. 7. Include a storage stand. 8. Gas capacity 10g (=17ml). working temperature up to 1000 ℃(torch).